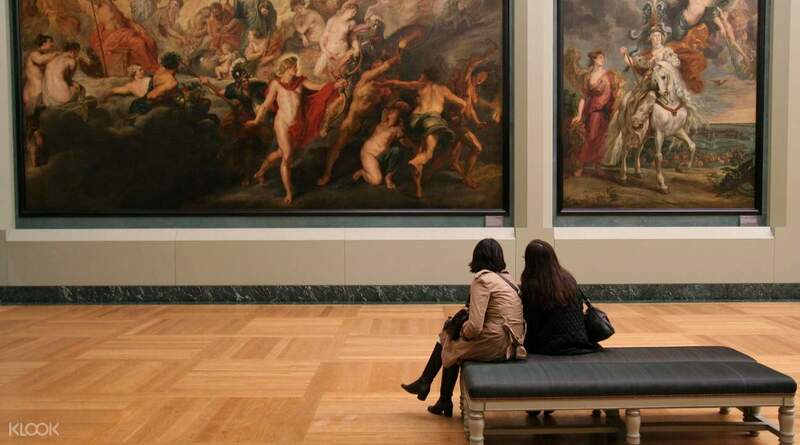 A visit to Paris would be wholly incomplete without a trip to the Louvre. As the largest museum in world with an astonishing collection of 35,000 artworks spanning over 7000 years, this attraction isn’t only for art lovers but anyone with the slightest interest in Western history and culture. 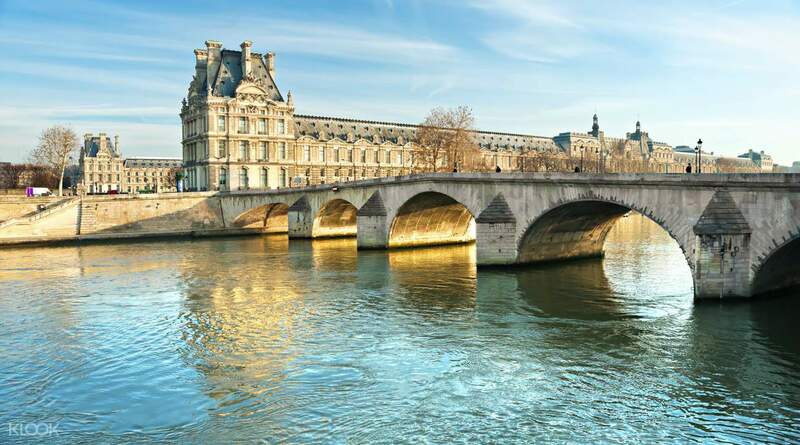 To begin your tour, you’ll greet your guide at a central location and enjoy a short scenic walk to the iconic Louvre Museum. Then sail past the famously long ticket queues and start exploring the museum’s treasures right away! 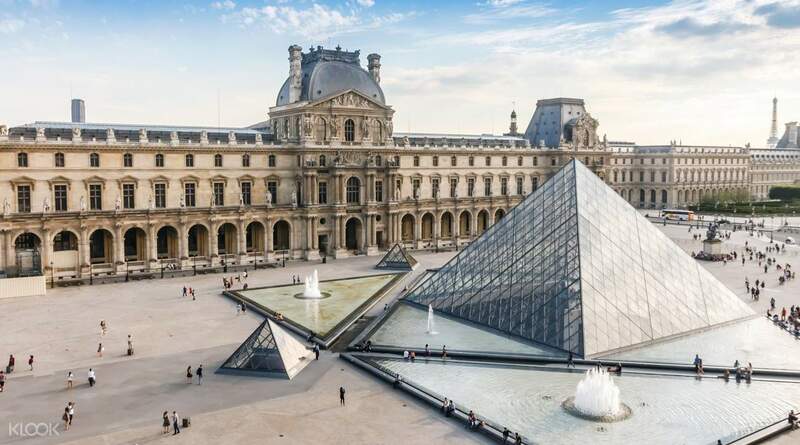 As many visitors often find the sheer size and richness of the Louvre overwhelming, this tour will focus on three important highlights: the Venus de Milo, The Winged Victory of Samothrace and of course Da Vinci’s Mona Lisa, amongst other major works. You’ll hear the fascinating history and stories that surround these legendary masterpieces from your expert guide who will be happy to answer any questions you might have. 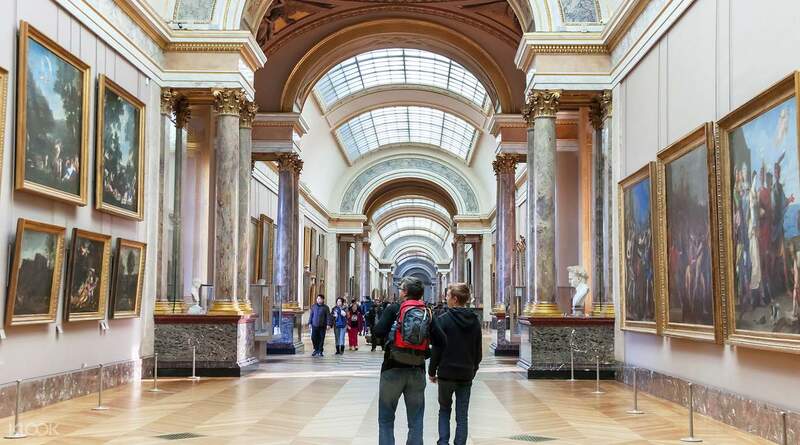 If you’re still itching to explore more of the museum after your tour, feel free to stay on and wander through the Louvre's grand rooms to your heart’s content - but make sure to make note of the closing time! Beat the Louvre's famously long queues and start exploring the world's most visited museum straight away! 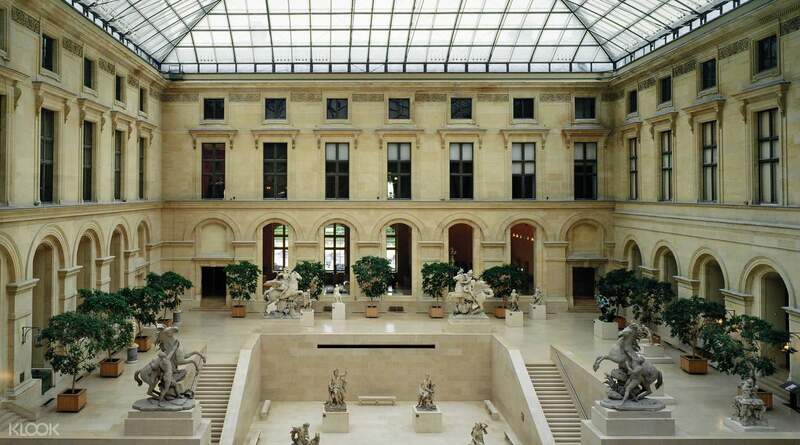 Located in the heart of Paris, your trip to the French capital would be incomplete without a visit to the Louvre! After your tour, feel free to take advantage of your ticket and stay longer in the museum to eat or enjoy shopping for souvenirs such as posters, books, etc. The guide was friendly, knowledgeable and efficient. This is a convenient option for those visiting the museum for the first time and have no idea where to find the masterpieces. The guide was friendly, knowledgeable and efficient. This is a convenient option for those visiting the museum for the first time and have no idea where to find the masterpieces. This trip was excellent. The tour guide (a French lady) spoke really good mandarin and was able to take care of the whole group throughout the trip in all perspective. Unlike other tour guide (from other trips) who might lose patience or act not professional when something happens out of their control. The whole trip was both educational and entertaining and is suitable for family with kids too. This trip was excellent. The tour guide (a French lady) spoke really good mandarin and was able to take care of the whole group throughout the trip in all perspective. Unlike other tour guide (from other trips) who might lose patience or act not professional when something happens out of their control. The whole trip was both educational and entertaining and is suitable for family with kids too. The guide brought us to see the famous arts and explained about them. Louvre museum is too big. It's good to have a guide to bring us around. The guide brought us to see the famous arts and explained about them. Louvre museum is too big. It's good to have a guide to bring us around. Our tour guide is awesome and friendly! We redeemed our tickets at pariscityvision quick and simple. Brought us to the tour and explain to us! Our tour guide is awesome and friendly! We redeemed our tickets at pariscityvision quick and simple. Brought us to the tour and explain to us! it was a good experience. unfortunately, 2hrs 30 is not enough for such a big museum. it was a good experience. unfortunately, 2hrs 30 is not enough for such a big museum. The tour was amazing! Given that the tour was only 2.5 hours, the guide professionally showed us all the highlights and provided as much information as he could! The museum is huge and you can even stay behind after the tour with or extra cost! The tour was amazing! Given that the tour was only 2.5 hours, the guide professionally showed us all the highlights and provided as much information as he could! The museum is huge and you can even stay behind after the tour with or extra cost! It’s good especially if it’s first time to the museum. It’s too big and having a guide would be really helpful. Beware of scammers asking for signature while walking on the way to the museum. They might surround and attack you. That’s what we experienced. It’s good especially if it’s first time to the museum. It’s too big and having a guide would be really helpful. Beware of scammers asking for signature while walking on the way to the museum. They might surround and attack you. That’s what we experienced. The experience waa absolutely worth it. The obvious breathtaking art, accompanied by a cheerful informative and lovely tourguide, Johanna, made the trip to Paris worthwhile. You cannot go to Paris without visiting the Louvre. A guided tour guide is so much better than an audio guide. She made the art even more colorful than they already were. Two thumbs up! The experience waa absolutely worth it. The obvious breathtaking art, accompanied by a cheerful informative and lovely tourguide, Johanna, made the trip to Paris worthwhile. You cannot go to Paris without visiting the Louvre. A guided tour guide is so much better than an audio guide. She made the art even more colorful than they already were. Two thumbs up! Our guide Caroline was great. She took us to see the three most important art work in the Louvre and showed us other interesting art works, including her favorites. She was able to explain well the techniques and history of the art pieces. Our guide Caroline was great. She took us to see the three most important art work in the Louvre and showed us other interesting art works, including her favorites. She was able to explain well the techniques and history of the art pieces.